The company, citing Wikipedia, said it was the 27th biggest diamond found in the world. The diamond came from the Lulo mine, 40 per cent owned by Lucapa. Lucapa shares rose 29 per cent on Monday after the announcement. A photograph released by the company showed the stone measuring about seven centimetres in length. Shares in Lucapa, which is based in West Perth, were 9.5¢ higher at 41.5¢ in afternoon trading on Monday. They have held the position in Tuesday morning’s trading. 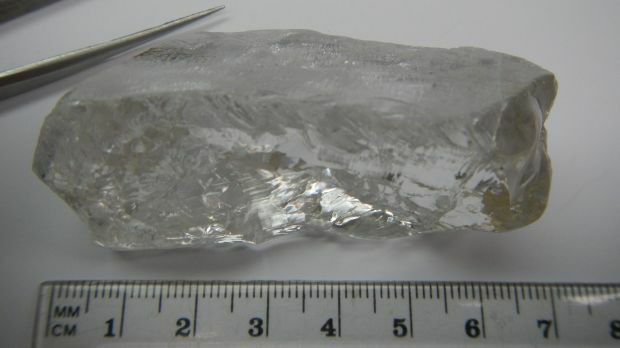 Lucapa chief executive Stephen Wetherall said the company would continue efforts to find the source of the huge diamond. The find came just months after another company, Lucara Diamond, found a 1111 carat diamond in Botswana. It was said to be the world’s second-largest diamond, behind the 3106 carat Cullinan diamond found in South Africa in 1905. Founded in 2009 to help rebuild New Orleans’ flood protection system following Hurricane Katrina,Pontchartrain Partners has expanded to provide heavy civil construction, roadways and bridges, mechanical, marine, and coastal restoration services to local, state, and federal government clients. The company’s CEO Danny Blanks credits the team’s combined 50 years of experience as well as its strong network of partners with the company’s stellar growth. Since 2001, the Laguna Niguel, California-based Netcom3 Global has been developing, marketing, and licensing Internet security and technology support services. As its tagline explains, they “improve PC’s.” The CEO Cashier Myricks would have you think fewer crashes, faster speeds, and better security. Founded in 2009, American Care Partnersis a home health care agency offering skilled nursing-care services for children and adults. The Falls Church, Virginia-company was founded in 2009 year by Elias Demoz. In just three years the company has grown from 16 to 192 employees. Since 2000, Global Commerce & Serviceshas been offering systems and software engineering, information assurance, cyber security and project management to military and government clients. With Joaneane Smith at the helm, the company has completed successful projects for clients like the Navy and USDA. Founded in 2005, Knight Solutions is a general contractor that hires veterans to renovate veteran-occupied cemeteries. With the help of CEO Kevin Knight, the Leesburg, Virginia-based company employs more than 120 employees in 15 different U.S. locations. The company was recently awarded the Veterans Affairs Business Award by its home town. I don’t give revenue growth enough respect. If you’re anything like me, the top line of the income statement is something you take a quick glance at as you scan the page for earnings — the bottom line. After all, it’s earnings that count, right? There’s some truth to that statement. But determining a company’s true earnings involves making lots of judgement calls. The figure is easily manipulated. That’s less true of revenue. A company with steadily growing revenue is probably capturing market share. It may or may not be terribly profitable (think Twitter or Amazon), but it’s becoming a force to be reckoned with, and, sooner or later, investors take notice. Think about some of the world’s best-performing stocks. Apple, Disney, Starbucks. These companies didn’t excite the market by reducing their expenses. They did it by selling a great product to more and more people. With that in mind, I thought it would be interesting to take a look at the Johannesburg Stock Exchange’s fastest-growing companies. The nine companies listed below have all grown revenue at an average rate of 25% or more over the past five years. But we’re not talking about “one-year wonders” here. These companies haven’t just grown quickly, they’ve done it consistently. Each one has increased its revenue by at least 10% each year. An intense marketing effort is building this wealth manager into one of South Africa’s most recognizable financial brands. PSG styles itself as a one-stop shop for clients in search of everything from stockbroking to health insurance. Consumers have responded exceedingly well, which has rapidly grown the company’s assets under management. PSG plans to continue to invest heavily in advertising in the year ahead. It will also build up its stable of unit trusts. The stock market, however, remains a bit circumspect. 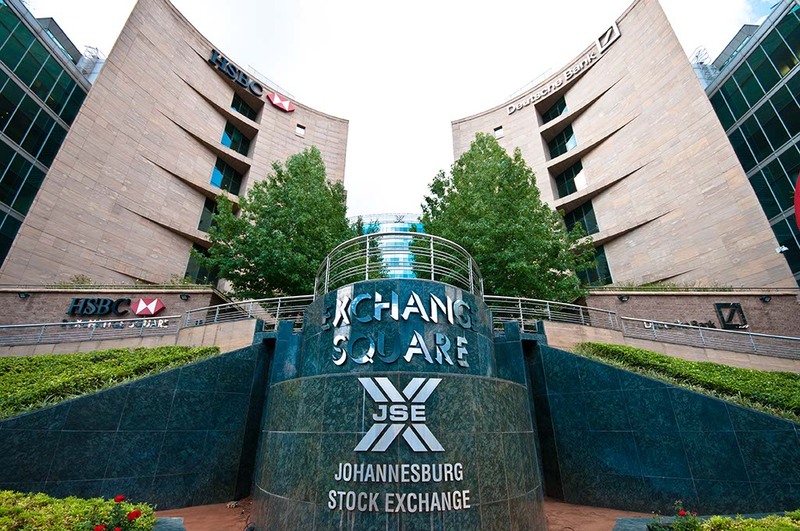 The company’s share price is down 7.6% since the shares listed on the JSE in June of last year. Once a conglomerate that owned everything from magazine distribution to copy shops, Onelogix has sharpened its focus on the transport of vehicles and other freight across Southern Africa. The company has been consistently profitable and highly acquisitive, which helps to explain its eye-popping revenue growth. Acquisitions remain key to Onelogix’s growth strategy. It recently sold off some non-core holdings and purchased a refrigerated trucking company. With the stock price up some 41% over the past year, investors appear generally bullish on the company’s prospects. The revenue growth at this generic drug manufacturer is all the more remarkable considering it didn’t enjoy the benefit of expanding off of a small base. Through years of shrewd acquisitions, CEO Stephen Saad has built his Durban-based company into a $10 billion enterprise with a presence in 47 countries across the globe. Aspen management hopes that its new portfolio of anti-coagulant drugs will be just what the doctor ordered to extend its +25% revenue growth streak. Judging by its trailing P/E ratio of 34, the market believes they’re making all the right moves. Who knew that pizza, fish & chips, and diamond rings was a recipe for toothsome sales growth? CEO Carlo Gonzaga has cobbled together an assortment of fast food restaurants and jewelry shops that consistently posts huge revenue increases. It’s rumored that he eats his own cooking, too, having personally visited nearly all the restaurants in Taste’s rapidly expanding footprint. Looking forward, the jewel in the company’s crown is the rights to establish Domino’s Pizza’s presence in Southern Africa. Management will rely on the expansion of this franchise and acquisitions funded by its R200 million cash pile to feed future sales growth. When it comes to asset management, nothing breeds success like success, and Coronation has had success in spades. The firm’s patient portfolio managers, backed by top-notch researchers and analysts, boast impressive track records across the board and now oversee some $52 billion worth of client assets. As Coronation grows, it will be tougher to produce consistent earnings growth north of 40%. But even in tough market environments (and perhaps especially in tough markets), investors want a proven hand to manage their wealth. I expect the company’s growth to be as strong as its enviable reputation. Perhaps surprisingly, EOH is the lone information technology firm on this list. The company, which was the best performing stock on the JSE in 2013, sells enterprise level software and hardware and provides lots of smart people with the know-how to get it up and running. With a roster of technology partners that includes Microsoft, Oracle, SAP, HP, and Cisco, EOH doesn’t need to do much to convince Africa’s leading businesses that it can provide whatever tech solutions they need. A serial acquirer, it has made three major purchases in the past six months. Yet, organic growth still accounts for the majority of the company’s ballooning sales figures. In coming years, expect EOH to consolidate its African presence, which already extends to an impressive 22 countries. The straight-laced world of banking is hardly the place you’d expect to find a company with one of the JSE’s most blistering growth rates. But by offering accessible and affordable banking services to low-income South Africans, Stellenbosch-based Capitec has, in its short 14-year history, expanded to a size that now rivals the likes of Nedbank and Firstrand. The bank opened 39 new branches and installed 500 new ATMs over the past year, which has helped it to add roughly 100,000 new customers every month. Over the next few years, management believes enhanced mobile and internet banking platforms will help to maintain the steep growth trajectory. South Africa’s education system ranks among the world’s worst, which makes it fertile ground for private schools. Established in a church building in 1998 with just 28 students, Curro now operates 42 schools for pupils whose age ranges from three months to 18-years. The company’s meteoric growth surprised even its own managers, and it is now five years ahead of the ambitious targets laid out in its 2011 IPO prospectus. But don’t expect it to rest on its laurels. The company has proposed its fifth rights issue in as many years which should leave it flush with cash to meet its new goal — 80 schools by 2020. With a triple-digit PE ratio, the market evidently loves its odds of success. The JSE’s fastest-growing company derives its income, perhaps ironically, from digging in the dirt. Founded in 2007, Keaton operates two coal mines that fuel power plants owned by the troubled national electric utility, Eskom, and provide anthracite for export to locales as distant as Brazil. Unfortunately for Keaton shareholders, razor thin profit margins have prevented the share price from mirroring the company’s triple-digit revenue growth rate. The stock is down 34% over the past 12 months. Management hopes that a recently acquired third colliery will boost profitability when it goes into production next year. Disruption of light Photo: richardblundell.netSixteen companies from five African countries considered pioneers, disruptors and innovators were named “global growth companies” at the World Economic Forum underway in Abuja, PremiumTimes reports. They were chosen based on their ability to become future global leaders, the report said. Six of the companies are South African, six are Nigerian, two are Kenyan, and one each is from Mauritius and Uganda. Selected Kenyan companies include Nation Media Group; and Bidco Oil Refineries Limited. From Mauritius, GML was chosen; and from Uganda, Simba Group. The South African companies selected include Growthpoint Properties; Capitec Bank Holdings Limited; Webber Wentzel; KZN Oils; Net1 UEPS Technologies, Inc; and Tekkie Town. The companies were recognized as the continent’s most dynamic and high-growth — trailblazers, shapers and innovators committed to improving the state of the world, PremiumTimes reports. The companies were drawn from a spectrum of industries including financial services, retail, media, chemicals and energy. The World Economic Forum’s Global Growth Companies community consists of more than 360 companies from around the world. The 16 selected African companies share in common a track record of leadership in corporate citizenship, exceeding industry standards in revenue growth and promotion of innovative business practices, the report said. The co-chairmen and co-chairwomen of the World Economic Forum meeting include Dominic Barton, managing director of McKinsey & Company, U.K.; Jean-François van Boxmeer, CEO of Heineken, Netherlands; Aliko Dangote, CEO of Dangote Group; Bineta Diop, president of Femmes Africa Solidarité, Switzerland; Jabu A. Mabuza, chairman of Telkom Group, South Africa; Sunil Bharti Mittal, chairman of Bharti Enterprises, India; and John Rice, vice chairman of GE, Hong Kong. JOHANNESBURG — Africa’s biggest economies have been hammered by the collapse in commodity prices over the past 18 months but there are still investment bright spots to be found. In cities such as Lagos, Nairobi, Accra, Kinshasa and Johannesburg, growth remains robust and investors are prospering in the retail, financial services, technology and construction sectors. This means investors can now re-adjust their strategy for Africa. Instead of taking a view on the continent as a whole, or choosing one country over another, they can seize opportunities city by city. Sub-Saharan Africa is urbanizing faster than anywhere else in the world and city dwellers have more money to spend. “In the current economic environment, investors want areas where success is proven, growth is strong and will remain strong. Big African cities give you that,” said Jacob Kholi, a partner at Abraaj, a private equity firm with $9 billion under management. “It has become even more important to focus on these key cities than before,” Kholi added. Nairobi is the most attractive destination for foreign investment, according to a 2015 report by PricewaterhouseCoopers, followed by Accra, with Lagos and Johannesburg equal third. Consumption per capita in Accra is 1.6 times greater than the average in Ghana, 2.3 times bigger in Lagos than the average in Nigeria, and 2.7 times larger in Nairobi than nationally in Kenya, Abraaj estimates. Lagos, one of the world’s fastest growing cities and with a population of 20 million, expects economic growth of 7 percent this year, twice the pace of the country as a whole. Even South Africa, which is grappling with youth unemployment of over 40 percent and could slip into recession this year, has areas where industry is booming. “Looking around here, you wouldn’t know things were so bad,” construction worker Sifiso Zwane told Reuters in Johannesburg’s wealthy Sandton business district. “Rich people will always find a way to make more money,” said Zwane, with cranes filling the skyline behind him and billboards advertising new retailers like Krispy Kreme doughnuts and Hennes & Mauritz. There are similar stories elsewhere. This year, Kenya is set to unveil the Two River malls in Nairobi, the continent’s largest shopping center outside South Africa, with brands like Porsche, Hugo Boss and France’s Carrefour already booking space. “The economy still has opportunities,” said Gabriel Modest, a jeweler who says demand for the gold necklaces and bracelets he sells remains strong. “Sometimes you have to treat yourself,” he added, ordering a bowl of muesli and yoghurt at an upmarket Nairobi coffee shop. In Lagos, plans are in place to develop the vast multi-billion-dollar Eko Atlantic city, a Dubai-style gated community that will boast chrome skyscrapers, business parks, palm trees and a marina. “MEGA-CITY” By 2025, Mckinsey estimates that more than 80 cities in sub-Saharan Africa will have populations of more than one million, accounting for 58 percent of the region’s growth. Back in Lagos, business is still expanding for cab-owner Cyril Ugochukwu, whose earnings are running well above the target he set for his business, which has contracts with online firm Easy Taxi. “Individuals must make trips whether times are good or bad,” he told Reuters.